This multi-faceted trip explores three distinct regions of Australia including the cities of Sydney, Melbourne and Brisbane. In the Red Centre, you’ll experience Aboriginal culture with a local guide and visit the sacred sites of Uluru and Kata Tjuta. In the island paradise of the Whitsundays, off the coast of Queensland, you’ll have direct access to the Great Barrier Reef along with plenty of opportunity to swim, sail, snorkel or dive. Arrive in Queensland’s sub-tropical capital city of Brisbane where you’ll be met and transferred to your hotel. The Brisbane River is the focal heart of the city and bordered by parks and promenades. Open air markets, gardens and riverside cafes make this a delightful city to explore on your own. 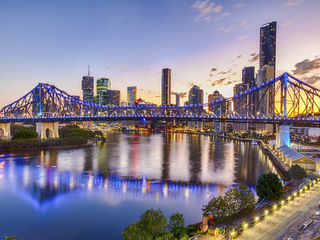 Or we can recommend a walking tour by Brisbane greeters – a complimentary service that connects visitors with locals for a warm welcome to the city. After breakfast in the hotel, check out and transfer to the airport for a short flight to Hamilton Island in the Whitsunday Island group. Stay at your choice of resort or vacation rentals—all include the use of catamarans, stand up paddle, windsurfers and snorkeling equipment and are located on or near Catseye Beach. 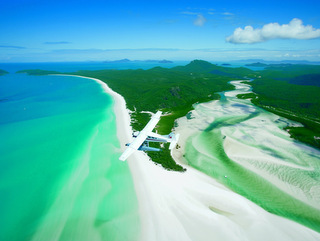 Depart after lunch from the Marina Village for a scenic flight by floatplane to spectacular, uninhabited Whitehaven Beach. Spend time swimming or walking on it’s powder white beach—and if you’re feeling energetic, walk to Solway Lookout which offers some of the best views over the islands. Return to Hamilton Island in the late afternoon. Choose to experience a day at the Great Barrier Reef your way—by sailboat, motor catamaran, small plane, helicopter or floating platform. 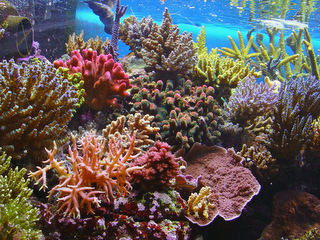 A variety of tours are available depending on whether you dive, snorkel or prefer a glass bottom boat. 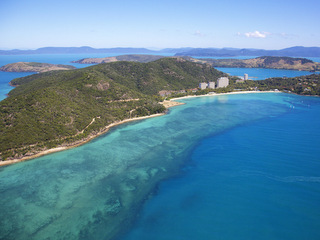 Depart Hamilton Island on a direct flight to Melbourne. Afternoon arrival, airport meet & transfer to your centrally located hotel. Remainder of the day at leisure to explore the riverside city that’s renown for its dining, nightlife and cafe culture. Optional: Add a progressive degustation evening walking tour — a great way to sample Melbourne’s famous restaurant scene and see the city. Experience several in one evening, all within walking distance. Visit 3 unique venues with exclusive wine tastings and savory tastes from their menus. A small group tour of Melbourne’s signature lanes and arcades, visit local designers and specialty retailers that often are only found in the city. You’ll visit some of the quirkiest cafes, independent designers, street art, architecture, with historical tales of Melbourne along the way. There is something for everyone, locals and visitors alike. Includes a morning coffee stop. 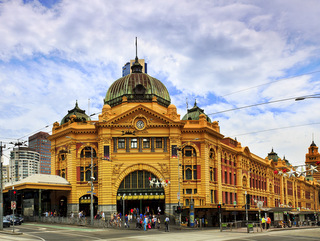 Spend the day exploring the city on your own time, visiting the botanical gardens, museums, restaurants and cafes that have made Melbourne the culinary capital of Australia. 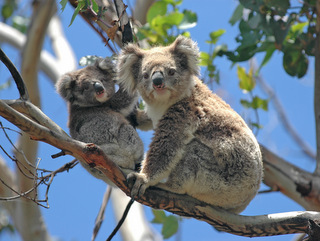 Choose from several optional tours including: Yarra Valley Wineries, The Healsville Wildlife Sanctuary, The Great Ocean Road or Yarra Valley Sunrise Hot Air Balloon. Private-car transfer to the airport for a three-hour flight to Uluru (formerly known as Ayer’s Rock)—a site that is sacred to the local aboriginal group—the Anangu. Transfer to your hotel with pool located in the Ayer’s Rock Resort. Late afternoon, you’ll visit a camel farm where you’ll saddle up to enjoy a 45-minute ride through the bush to a very special dinner under the stars. End the day with a walk around the Field of Lights, a magnificent outdoor art instillation by artist Bruce Monroe. Return to your hotel by coach. 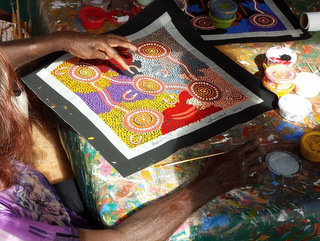 Cave Hill tour is an Indigenous cultural experience that provides visitors with insight into everyday Aboriginal life. Journey by 4WD, relax and enjoy a trip deep into the desert of the Pitjantjatjara Lands of Central Australia. On arrival you’re greeted by your Anangu host. The highlight of the tour is the magnificent cave paintings – possibly the most significant art site in Central Australia. The drama of the Seven Sisters creation story is graphically illustrated on the ceiling of the cave. 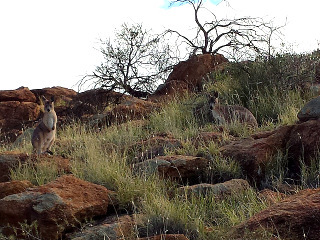 Climb to the top of Cave Hill to admire a 360-degree panoramic of the countryside, including Uluru 100kms away, Mount Conner and the imposing Musgrave Ranges. After lunch return to Ayers Rock Resort. 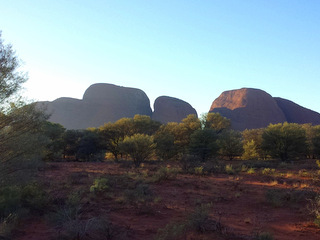 Early morning pick-up at the resort and drive to the entrance of Uluru Kata Tjuta National Park. Arrive at a viewing area to see the 36 domes that comprise this spiritual place while watching the sun’s morning glow as the desert comes alive while you enjoy an outback picnic breakfast. As you approach the entrance to Walpa Gorge (named for the wind, Walpa, that whistles between the massive domes that shape Kata Tjuta, the result of eons of weathering and continual upheaval) your guide will share the significance of this men’s sacred ceremonial site and the geology that has evolved over millions of years. 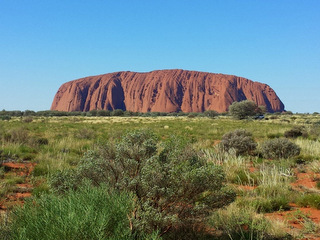 Depart Uluru by flight to Sydney where you will be met on arrival and transferred to your downtown hotel. Remainder of the evening to enjoy strolling the inner harbour, Opera House, and sampling your choice of many outstanding pubs and restaurants. Meet your guide at Circular Quay for a morning walking tour of the Rocks—where the first Europeans settled in Australia. This 90-minute tour takes you through hidden narrow alleyways, along charming cobbled lanes, into shady courtyards and linger by quaint terrace cottages. Take in the renowned oldest streets of Sydney, dotted with beautifully restored 19th-century buildings. 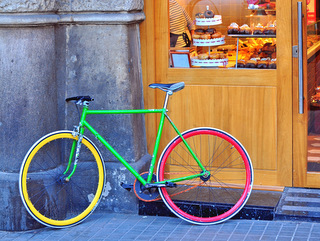 Take an easy, afternoon bicycle ride through parks, along the harbor, and past all of Sydney’s iconic sites. 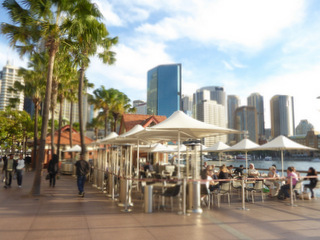 You’ll ride on the world famous Sydney Harbour Bridge and relax in one of Sydney’s oldest pubs…it’s a great way to see the city’s highlights! 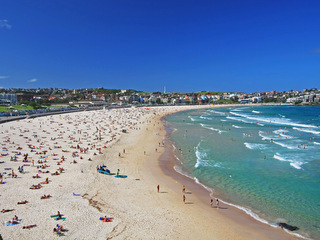 A day at leisure in Sydney. 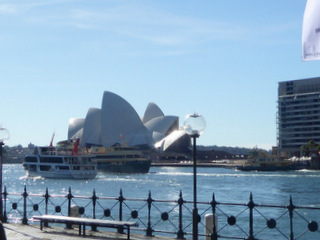 You may wish to visit Darling Harbour, Bondi or Manly Beaches, the Royal Botanical Gardens or Australian Museum (features a fascinating indigenous culture collection), take an optional Opera house tour, or better yet get tickets for an evening play or musical performance at the Opera House. Private car transfer to the airport for your return flight home. 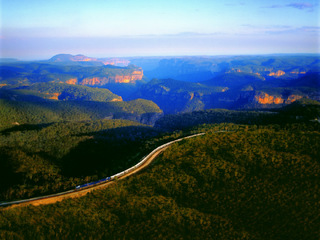 The suggested itinerary above can be adapted or extended to visit the places that interest you most—perhaps a train ride on the Ghan to Adelaide or Darwin, view the tropical rainforests of Kakadu or Daintree National Parks, hike Tasmania, or get firmly off the beaten path in the wild western frontier of Kimberley.